PHOTOBOMB Photography, one of Calgary’s best photo booth companies is looking to build their corporate clientèle during the holiday season by offering a special promo on their Photo Booth packages. If you book by October 31, 2013, you will receive FREE duplicate prints AND the Social Media Kiosk on all bookings from now until the end of the year ($375 value). That’s a savings of $375! Contact them quickly as their availability is limited and you or your company will be added to their extensive client list which includes Deloitte, TELUS, Forever XXI, Calgary Public Library, and more! If you’re hosting a special event and looking to liven up that corporate party, wedding, school event, holiday party, fundraiser, or any special event, this is something that will make the event more fun and memorable for you and your guests. Make lasting memories with friends, co-workers and family is what PHOTOBOMB Photography does best! They will take care of everything and supply a trunk full of props for you to “strike a pose”. Best of all is that you’ll receive these photos instantly as you will see them print right before your eyes. Hire PHOTOBOMB photo booths today to finish off the year with a bang! Reward your employees for a job well done with an amazing party! I hired them for my daughters 1 month celebration and they did a fantastic job. I highly recommend them. 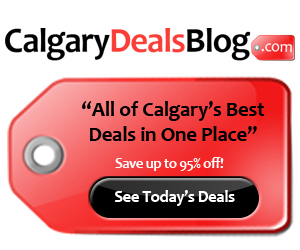 Click here to visit CalgaryDealsBlog.com for more details in Calgary. Calgary Radio Blog is updated multiple times a day. We need everyone's help to get all the bonus codes. Share what you hear on the radio by posting them in the daily "comments" section. We will add them to the main post once they are verified. Enjoy! © 2019 Calgary Radio Blog. All Rights Reserved.